Generally speaking, courts will typically uphold language in a commercial lease, unless it is contrary to statutory law or public policy. Consequently, commercial landlords and tenants have a lot of leeway in allocating the risk and responsibility of issues inherent in commercial leases. Because of this deference to lease language in a commercial lease, landlords and tenants are strongly advised to “say what you mean, precisely, or a judge will decide what you meant”. Failure of the lease to clearly define if repairs include replacements, for example, or what improvements stay with the landlord and what goes with the tenant upon expiration of the lease (i.e., the “fixture” vs. “trade fixture” issue) often results in disputes that could easily have been avoided with clear, specific lease language (See “Getting a Fix on Fixtures”, Ohio Real Estate Blog, by Stephen Richman, June 30, 2008). Allocating responsibility for real estate taxes and assessments should be added to the growing list of lease provisions that must be drafted carefully, and precisely to avoid unintended, and often, costly results. Most commercial landlords intend for their tenants to pay for their pro-rata share of taxes and assessments, especially in a long term, triple net (NNN) lease. Sometimes, however (depending on the relative bargaining strength of the parties and the length and type of lease), tenants are successful in negotiating for special assessments to be paid by the landlord vs. the tenant. In those cases, the distinction between general real estate taxes and special assessments is usually understood, but must be clearly spelled out in the lease. The distinctions among taxes, assessments, PILOT’s, and TIF’s, however, are much more difficult to understand, as illustrated (and resolved) in the relatively recent Twelfth District Court of Appeals case: Chu Bros. Tulsa Partnership, P.L.L. v. Sherwin-Williams Co., 187 Ohio App. 3d 261, 2010-Ohio-858; which basically held that PILOTs = Special Assessments. immediate vicinity, and levied with reference to special benefits to the property assessed." Lima v. Lima Cemetery Assn. (1884), 42 Ohio St. 128. A tax is a burden levied on citizens for the general operation of the government. By contrast, an assessment is a narrower burden levied on specific property owners to cover the cost of benefits bestowed on the property by public improvements. State ex rel. Emrick v. Wasson (1990), 62 Ohio App.3d 498, 506. Because of the general nature of taxes, and the special/more specific nature of assessments, it is less confusing to refer to assessments as “special assessments”, and real estate taxes, as “general real estate taxes”. Using the phrase “general real estate taxes and special assessments” or “real estate taxes and assessments, both general and special” clearly covers both. However, the phrase “general real estate taxes and assessments”, for example, could be construed as not inclusive of “special assessments”. “TIF” stands for “Tax Increment Financing,” a special tool that cities can use to generate “new” revenue for economic development in a specific geographic area. This “new” revenue– also called “increments” – arises if new development takes place in the designated TIF district, or if the value of existing properties rises, resulting in higher tax bills. PILOT stands for Payment-In-Lieu-Of-Tax. The idea behind TIF’s and PILOTs is that property values, and therefore tax collections, will rise after the TIF plan improvements in a TIF district have been completed. TIF allows the increase in property taxes to then be used to reimburse the developer for certified project costs. The difference between the taxes on the property before and after it becomes part of a TIF plan is called the PILOT. If there were existing tax on the property, the portion of property tax that existed before the TIF plan is called the “base”. Any tax amount larger than the base is then the PILOT. The PILOT and any base tax add up to the same amount of tax that would have been charged if the property had not been in a TIF plan. The PILOT is NOT an additional “TIF tax”; it is a portion of the regular tax that can be redirected to the project. The facts of the “Chu” case are simple enough. Sherwin Williams (the tenant) was given a bill from Chu (the landlord) for approximately $18,000.00 for the PILOTs, which it refused to pay (claiming it was a special assessment, and not tenant’s responsibility under the lease). Chu sued for breach, claiming the PILOTs were analogous to general taxes and thus the tenant’s responsibility under the lease. Both parties agreed that the terms of the lease clearly defined their respective real estate tax and assessment obligations. The lease in this case provided that Sherwin-Williams was responsible for all "general real estate taxes and assessments," while Chu Brothers was to pay for "special assessments”. Both parties clearly disagreed, however, as to whether PILOT’s were general taxes or special assessments. The Twelfth District Court of Appeals in Chu reversed the trial court’s decision and held that the PILOTs assessed against the property under its governing TIF agreement shared all of the same characteristics as special assessments as defined by the Ohio Supreme Court, and therefore, they were a type of special assessment, even though not specifically mentioned in R.C. 727.01. 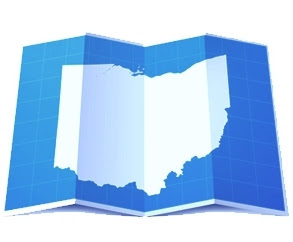 The Twelfth District Court in Chu acknowledged that PILOTs are levied and valued similar to real estate taxes (and viewed by some as redirected taxes) however, it recognized that the Ohio Supreme Court has clearly held that PILOTs are not taxes. (See Dayton v. Cloud (1972), 30 Ohio St.2d 295,302). The Court of Appeals in Chu reinforced its holding by: 1) examining Ohio's TIF legislation (R.C. 5709.40), stating same “clearly demonstrates that PILOTs are special assessments”; and 2) citing Ohio Supreme Court decisions noting that public improvements constructed pursuant to a municipal TIF program "benefit specified parcels of property." In other words, according to the Twelfth District Court of Appeals: “like assessments levied under R.C. 727.01 et seq., PILOTs collected pursuant to a TIF agreement are another form of statutory special assessment. Although equal to the real property taxes that would have been payable if the property had not received a TIF exemption, PILOT funds are used to pay for the infrastructure improvements that directly benefit the property owner…” Id at Par. 18. The moral of this story? Say what you mean, precisely, in a commercial lease, or a judge will decide what you meant. If you intend for a party in a commercial lease to pay for general real estate taxes and assessments, special assessments and “PILOT’s”, say so. Some leases describe these terms in a paragraph vs. a phrase, just to be sure all bases are covered. Of course, every property, landlord, and tenant are unique, and a legal professional to create a unique lease geared to reduce unintended costs and liability is always advised. How are PILOT payments billed and collected?